Kobe Bryant is a 5-time NBA Champion and an 18-time NBA all-star. Black Mamba is one of the greatest players in NBA history on both ends of the court. 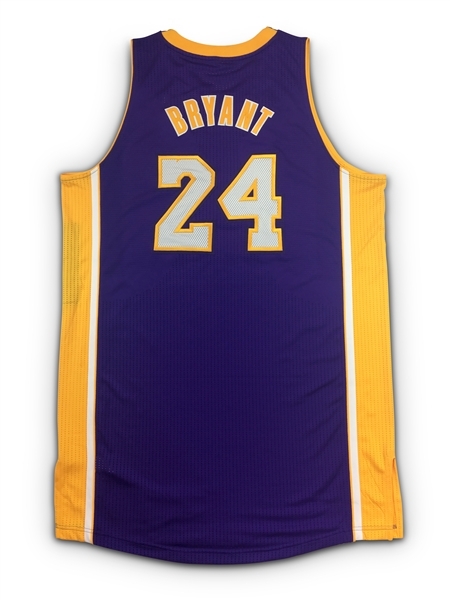 Presented here is a 2013-14 Los Angeles Lakers jersey worn by Kobe himself. 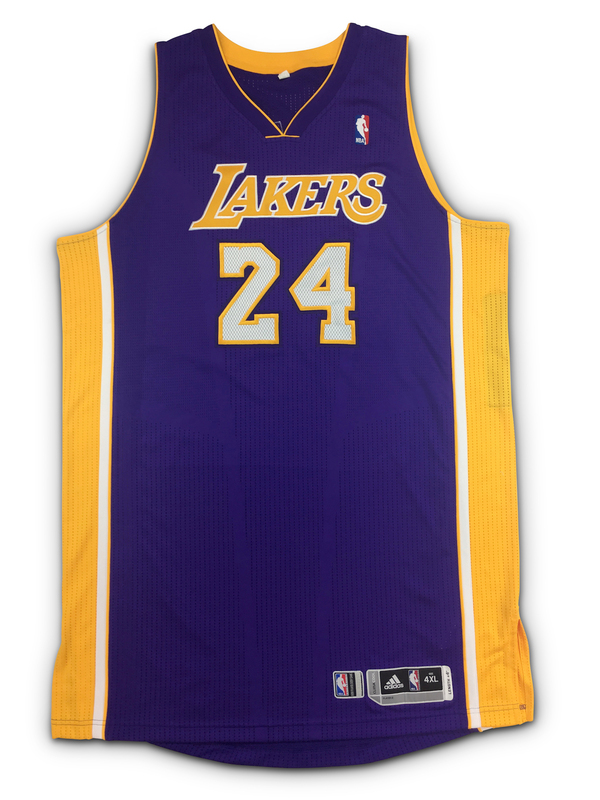 The jersey shows light to moderate game use with slight puckering on the manufacturer's tag. 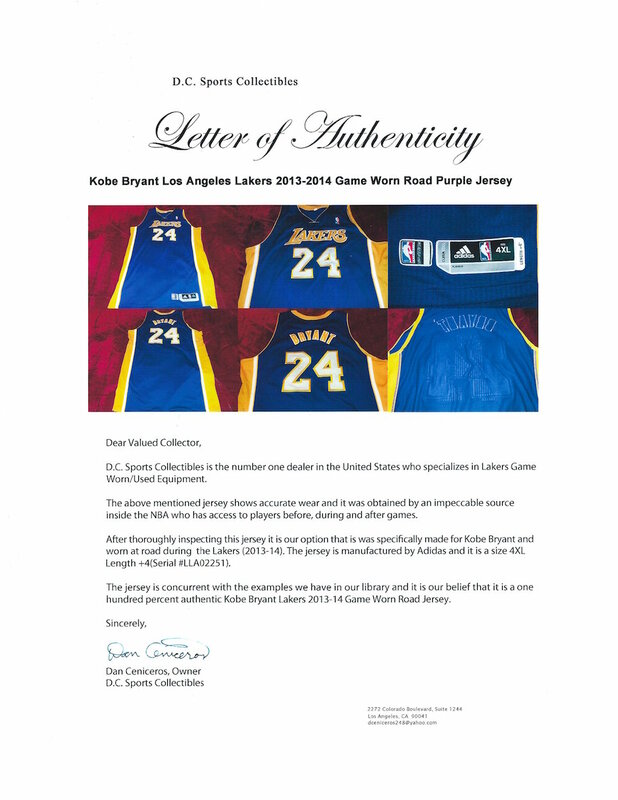 The jersey appears to be proper and accurate and is accompanied by a LOA from DC Sports. Jersey Specs/Tags: Adidas / Size 4XL / Length +4 / Serial# "LLA 02251"